The Evertough 4pc Universal Car Mat Set is ideal for any car, truck or SUV. Protect your vehicle's interior from snow, dirt and mud with this set that includes two front and two rear mats. Designed with an innovative profile to trap dirt, channel water and direct debris away from under foot. Features anti-slip backing that secures mats in place. Made of heavy duty plastic resin. This synthetic material offers superior flexibility, durability and stain resistance. Easy to clean, simply shake out or rinse with soap and water. Black and blue in colour. 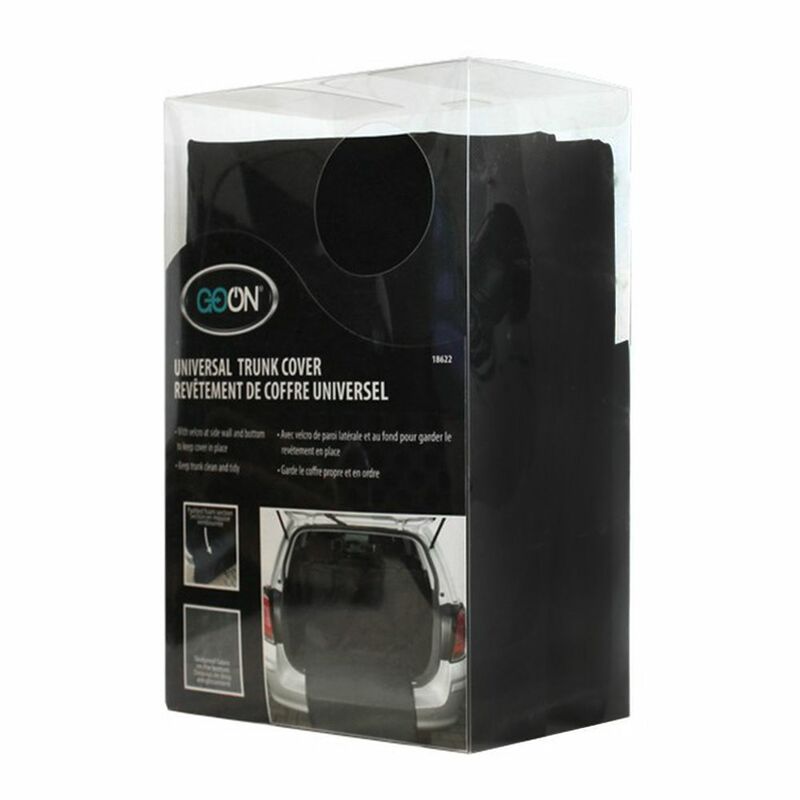 Universal Trunk Cover This Go On Universal Trunk Cover is perfect to protect your vehicle's trunk from dirt, grime and stains. Functional padded foam on the bumper portion to reduce wear and tear. Made with durable rubber and skid proof fabric on the bottom . Fits most cars and SUVs. Quick to install. Less mess and hassle-free.